For our readers who are perhaps unfamiliar with the history of Labor Day, it has been granted public holiday status within our great country as a way of honoring the American movement of labor. This acknowledges the sacrifices and overall contributions workers made to help achieve prosperity, strength and well-being of the country. It is celebrated on the first Monday of September , which will be on the 5th this year. We love the heritage and history of this holiday here at Gray Line, as we think there’s always time to say thanks to those that help out. The holiday began in the late 19th century with the rapid expansion of labor movements and trade unions. As a result, it was proposed that a day be set aside to celebrate the efforts of the working man in the USA. The first state to make the day an official public holiday was Oregon in 1887, and many more followed. The event gained momentum and became a federal holiday in 1894 and by this date, thirty US states had celebrated Labor Day officially. It could be argued that Labor Day was legitimized after many workers deaths during the Pullman Strike of 1894 at the hands of the US Army and US Marshals Service. United States Congress voted unanimously to have legislation approved that would make Labor Day a national holiday and it was signed into US law a mere six days later at the conclusion of the strike. The aim of the law was to increase support among trade unions following the strike to ensure that it would never happen again. 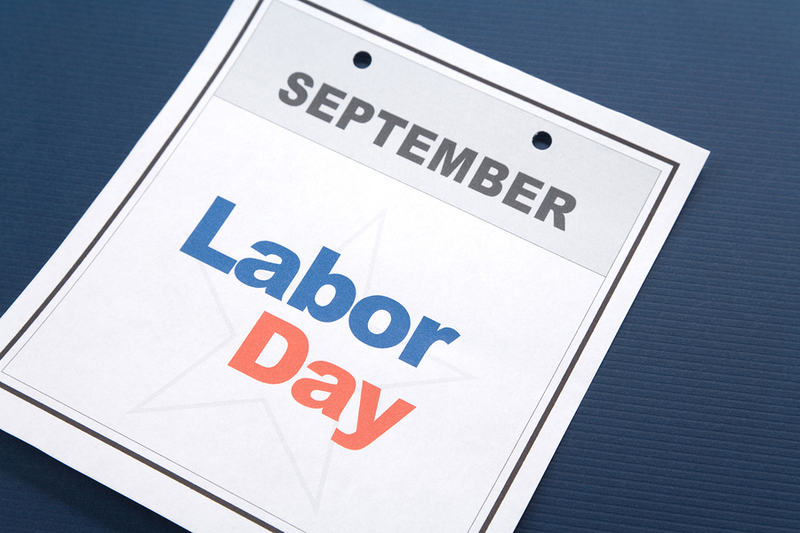 As a result, all US states have made Labor Day a statutory holiday so that all of their laborers can feel appreciated. Labor Day celebrations began as a street parade to encourage public support for the strength and morale of labor organizations. This was normally followed by a festival for the families of workers, where they could all relax. This remained the structure for Labor Day celebrations and as the holiday adapted to modern culture, it became more common for speeches to be made by prominent men and women from individual states with the aim of promoting the civil significance of the holiday. Labor Day is further defined as the “unofficial end of summer” as it occurs towards the end of the summer season with summer officially ending during the September Equinox which in the USA is between the 21st and 24th of September. Many members of the public take their two weeks vacation around this time and a lot of schools resume service just after Labor Day holiday weekend. Additionally, a lot of US Sports teams play their first games on this weekend with the NFL a prime example. We will certainly be celebrating Labor Day this September and remembering those that lost their lives during the Pullman Strike of 1894. We find this holiday to be a good day to go back to our roots, so why not join us on one of our tours on September 5th!